Great Citroen C3 car Leasing & Contract Hire Deals. Our Citroen C3 Lease Deals. This third generation C3 supermini is a far more buyable prospect. True, as superminis go, this isn't an orthodox choice, but then that's part of its appeal. In time honoured Citroen fashion, a C3 is just that little bit different, with smart, slightly quirky looks and some fun aesthetic options if you want them. The interior's different too and we like the extra media connectivity and the clever ConnectedCAM system. 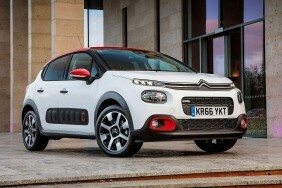 Overall then, the C3 is at last a strong contender in the supermini marketplace. Best of all perhaps, it's a car that's distinctively Citroen.